Hit your tee shot between the fairway bunkers and favor the right side. The right side has more space. The left has thick trees and brush. The green is elevated, medium sized and relatively level. 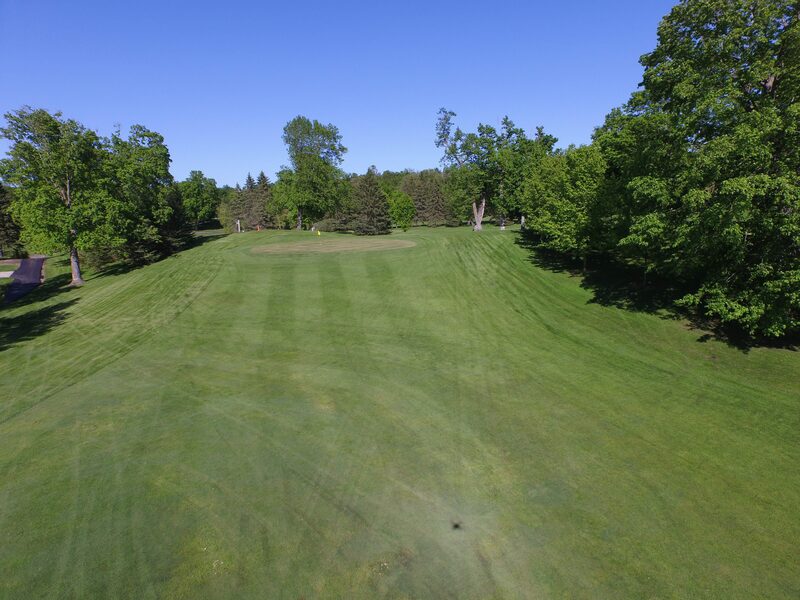 Large maple trees to the right side guard the green for your approach shot.